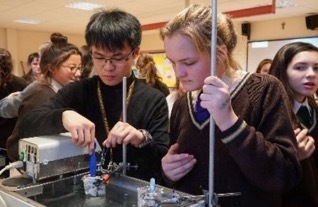 Through a thorough needs assessment with students, schools and partners, we saw that the uptake of STEM subjects at A-Level and degree level in London was very poor. Statistics showed us that in 2016, the UK had the lowest amount of female engineers in the whole of Europe with just 10%. In addition, according to a report by the RaEng society, the UK needs to double the amount of Science and Engineering going to University to study these disciplines. To do this, we knew to increase these statistics, we needed to change the mind-set of students who are making the decisions of what subjects to do during GCSE's and ultimately A-Levels. In response to this, we created Technopreneurship. Technopreneurship is a commercial project with the vision to inspire Year 9 students with practical science and business knowledge. 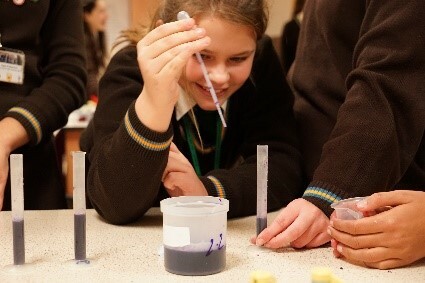 The science workshops are based on a crime scene investigations (CSI) to encourage youngsters to understand sciences and their applications in real life. These workshops are incredibly interactive and the feedback we get from students is great. The business workshops we provide allow the pupils to have a basic knowledge of how start up their own enterprise. We are currently working in one school, but have plans to expand to two more schools in 2017 which is exciting. We also identified that the the low amount of engineers and science students isn't just a challenge in the UK, but around the world. Since the project has recently become a profitable venture, we are investing the profits in helping families in Kenya send their children to school.